The world’s first robotic bar system is here! Watch these award-winning robots prepare made-to-order cocktails, as requested by event attendees using their smart phones. Over 10,000 variations and classics available, prepared at a rate of 120 drinks per hour. Participants see the status of their drink order. 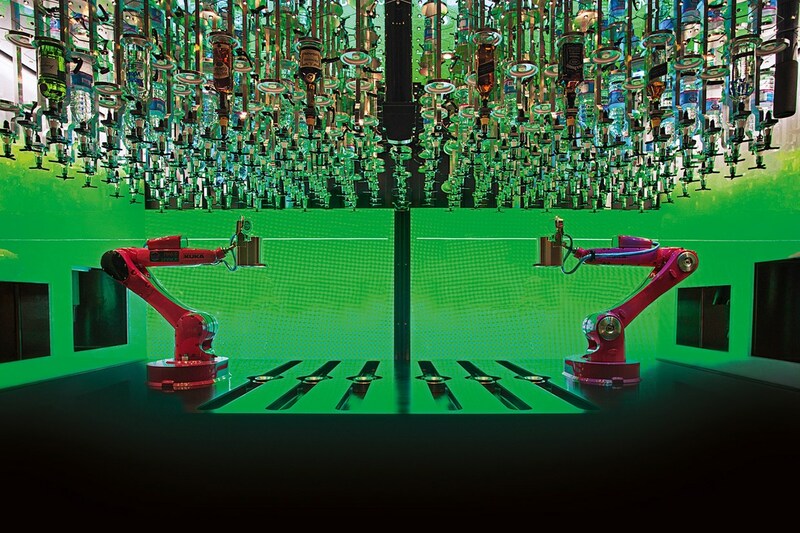 When a drink is in production the LED walls display the action the robots are performing. Cocktails and photos are shared though an Instagram feed with a pre-set hashtag which are displayed in an animated carousel during the intervals between drinks. Previous PostIs Bigger Really Better?